Hard slab releases are becoming harder to generate in the top half of our snowpack. Our most common weak layers are buried surface hoar. Our persistent slab will stand up to a lot of stress from loading, but will again fail when free water moves through the snowpack. Back country travelers need pay close attention for above freezing temperatures and slopes exposed to solar energy. Storm loading in the form of rain on snow will produce the same results also, but at a much faster rate! At the tail end of our warm wet cycle, we started observing glide cracks in the snowpack. Those observed were mostly over lubricated relatively smooth bedrock. These cracks went full depth through the snowpack. Most cracks observed didn't produce an avalanche. The few that did produce a slide took all available snow, rock, soil, and lesser vegetation to produce very dirty debris field. Most of these slides occur at the exact same location over time. If you know where these historically occur, or can see the glide crack, you should avoid travel down slope of them. Recent weather has helped our snowpack to transition from warm/wet to cold/firm. Forecasted weather is for more normal melt-freeze cycles, which will greatly aid stability especially during the freeze portions of the cycle. Back counrty travelers need to be vigilant on clear days when they venture onto solar slopes (south, west). By early afternoon, day time heating can be producing free water that percolates through the snowpack resulting in instability. Today I visited Government Mountain at the south end of the East Cabinet Range. 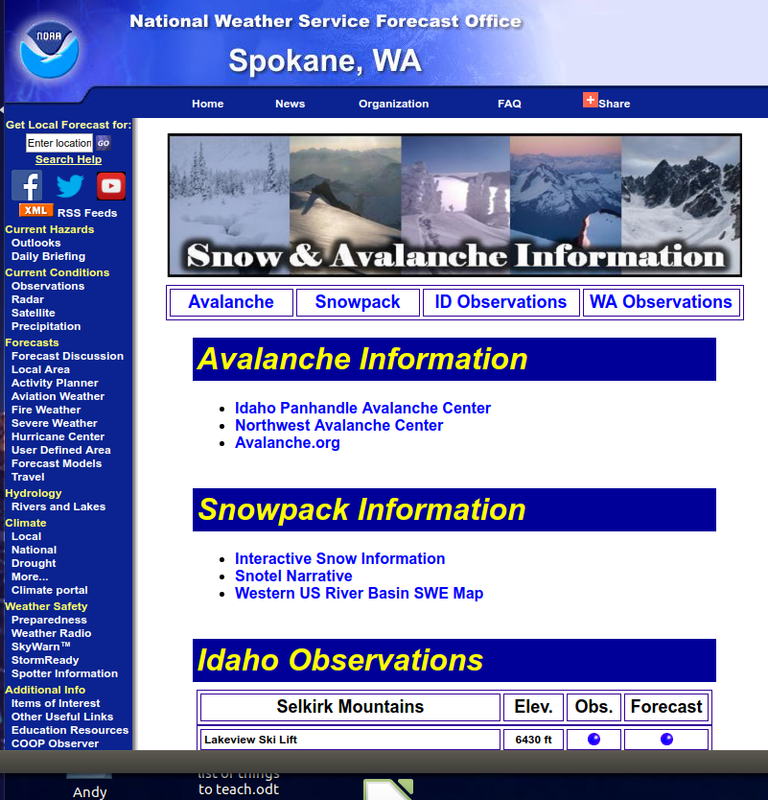 At 6000 feet I found 56 inches of snowpack on a steep north aspect. The top inch is a knife hard melt freeze crust that does not break under ski or snowmobile. Below this is a four knife hard crusts separated by four soft layers. Total depth of these layers is eight inches. Below this are a 15 inch and 14 inch thick pencil hard layers. Below the pencil hard layers is a 1 finger hard slab 10 inches thick and below this is a 8 inch basal layer of loosely consolidated large faceted crystals. Extended Column Tests yielded partial propagation at 9 inches from the surface with hard force. Failure was on 4mm buried surface hoar layer. No other fractures were produced with the ECT. Since the Tuesday January 27th advisory, weather in the Kootenai Region has been warm and dry. All SNOTEL sites were reporting above freezing temperatures from Tuesday morning through Wednesday morning. Temperatures during this period were in the upper 30s to mid 40s F. Since Wednesday morning temperatures have been mostly below freezing. 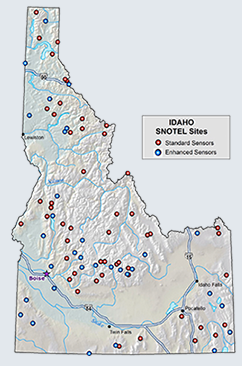 All SNOTEL sites are showing some amount of snowpack drainage of SWE. Forecasted weather is mostly sunny with increasing cloud cover Saturday. Temperatures will be around or under freezing at night and slightly above freezing during the day through Saturday. Winds will be southwest at 4-5 mph.